The rains have come early in Tamale this year. In the Northern Region of Ghana, the dry season usually lasts from October until June and the rainy season usually lasts from June until September. But this year that has not been the case. We received our first rains in Tamale starting in March, which is abnormal for the region. And it has been raining frequently, which makes it seem like the rainy season is in full swing. All over the world, global climate change has altered weather patterns, posing a threat to ecosystems, agriculture, the displacement of persons and access to water. While the cause of these specific rainfall changes in the Northern Region of Ghana is unknown, a recent NASA led study reports that global warming will have a large impact on the world’s precipitation patterns. The study states, “Areas projected to see the most significant increase in heavy rainfall are in the tropical zones around the equator, particularly in the Pacific Ocean and Asian monsoon regions.” Ghana is located in this tropical zone. CWS works in communities that get their water from dugouts or small ponds that fill up with rainwater each rainy season. These early rains have already had an impact on CWS operations in Ghana. Every year during the dry season, some CWS communities have to close their water treatment centers because their dugout water runs out. 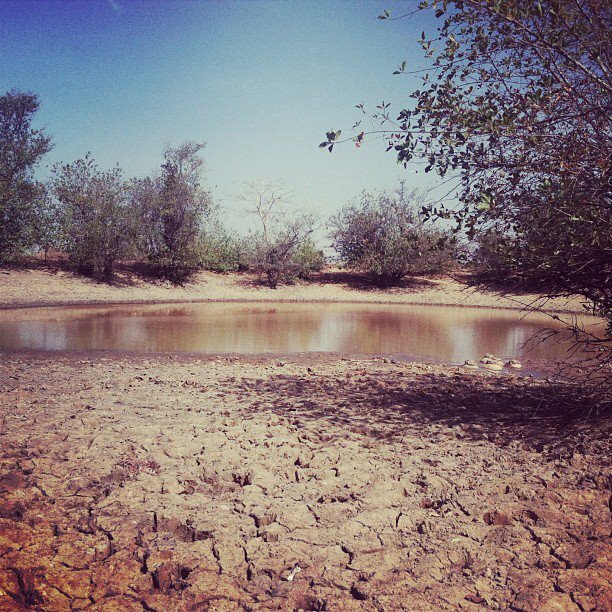 In April of this year, the dugout in Gbateni totally ran dry, while the dugouts in Nekpegu, Tohinaayili, Galinzegu and Jagberin were getting turbid on their way to running dry. 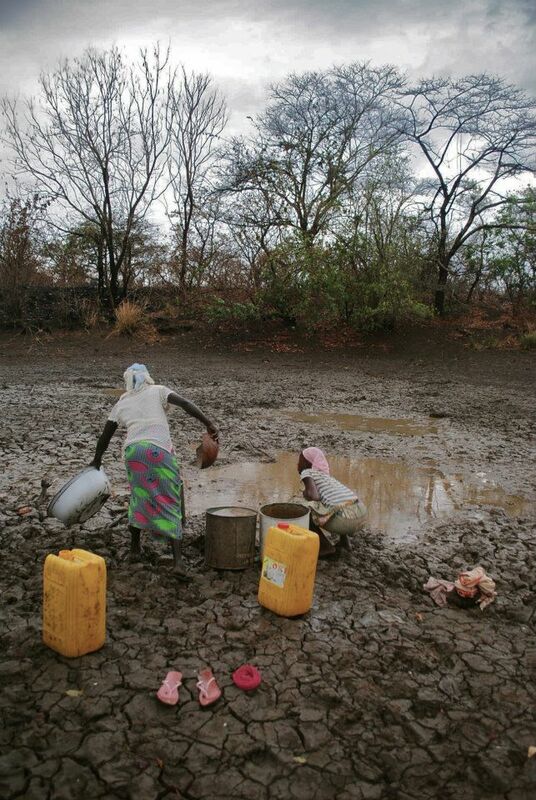 Within a week of Gbateni’s dugout drying up, all of these communities received heavy rains. When we went back to Gbateni, Nekpegu, Tohinaayili, Galinzegu and Jagberin the following week, their dugouts were full with water. We had very few center closings due to dugouts drying up this year, which means more months of access to clean water for those communities to which this posed a threat. When the roads start flooding from the rains, the CWS field staff can no longer access the roads to the villages, Buhijaa, Gbateni or Chanaayili. This usually doesn’t happen until June. Starting in April, we were unable to get to Buhijaa and the road to Gbateni was already getting muddy. We’re hoping that the rains hold out for a few weeks so we can prep these villages with aquatabs before the paths are totally impenetrable for the rest of the season. 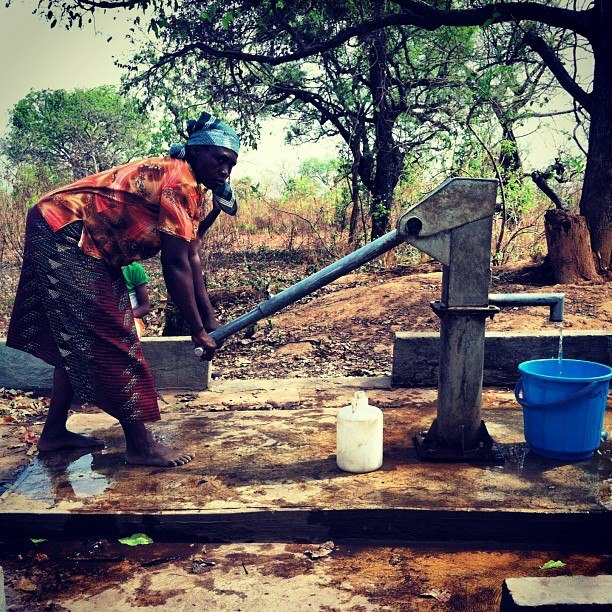 Memounatu of Buhijaa pumps borehole water into her safe storage container. CWS field staff cannot reach Buhijaa because the road is too flooded. As of the last visit in April, they still had borehole water. Shak monitored Jabayili and Yakura, two communities implemented in June 2012, and asked the women how their sales were going. 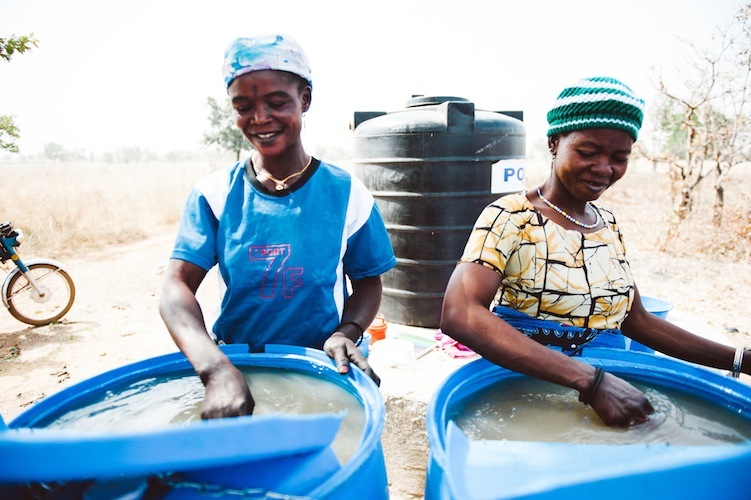 Fati and Memouna of Jabayili reported that sales have slowed down, everyone has started to collect rainwater. 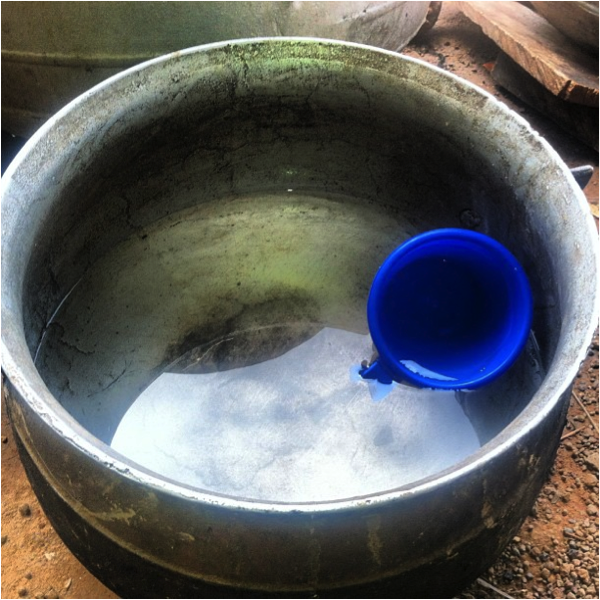 This is typical community behavior for CWS villages but rainwater collection usually doesn’t start until June. So the entrepreneurs have fewer months of having high center sales this year, since most people opt for collecting rainwater for free over paying for water at the center. Recently during household monitoring in Tindan, Wahab spoke to Arishetu, one of the women who runs the water business in the community. She told him that he would not meet all of the women at home to talk to them about their clean water. Now that it has started raining, everyone will be on their farms planting groundnuts and yams. These crops apparently only need a few rains before you can start planting. The CWS field staff has noticed that there are less people to meet in the communities for household monitoring. This means coming across empty households and only being able to speak with the children, nursing women or the older people who are staying back from the farms. But the rains have not affected farming schedules beyond groundnuts and yams. It seems like people are holding out on planting corn and other crops until they are sure the rains will last. As rural farmers without access to changing weather pattern data, their farming yields are left to chance, especially with abnormal rains. With an average of 1-2 rains a week in Tamale, it seems like the rains are here to stay and it’s only the first week in May! So far the early rains have had a positive impact on CWS water treatment centers. Very few centers ran out of water to treat this year. But who knows what future obstacles CWS and the CWS communities will face when struck with changing, unpredictable precipitation patterns. This entry was posted in Uncategorized and tagged Climate Change, Ghana, Global warming, public health, Rain, Tamale, villages, water treatment, weather patterns. Bookmark the permalink.